On a recent episode of the popular UFC Unfiltered podcast, Serra tore into the UFC superstar following his outrageous behavior at a Bellator event in his hometown of Dublin last week. While the UFC has yet to publicly announce any punishment they intend to hand down to McGregor, it is likely that they will remain silent on the matter altogether. “The Notorious” is the biggest star in the sport of MMA and quite likely the most popular combat sports star in the world right now. The Crumlin-native has featured in four of the top five highest-grossing pay-per-view events in the history of the promotion and is the most marketable athlete to have ever fought under the banner of the UFC. The promotion is currently in negotiations with McGregor regarding a new deal. The Irishman has insisted that he is unwilling to commit to signing a contract unless he is given a stake in the company – something which WME-IMG, the company who acquired the UFC in 2016 for $4 billion dollars, looks unlikely to agree to. This, in turn, has arguably influenced McGregor to play hardball. If there is one thing the Dubliner is an absolute expert in outside of the cage, it is self-promotion. Many have taken to the assumption that McGregor will refuse to return to the sport which made him a star unless there is a significant financial incentive for him to do so. According to the SBG Ireland star, he made north of $100 million in his summer boxing bout with ring icon Floyd Mayweather Jr. Returning to the UFC to risk his health for a fraction of what he earned against Mayweather is reportedly the reason for his refusal to not just commit to a new deal but hold off on returning to the promotion in general. McGregor is an entertainer and has built a legion of fans worldwide partly due to his verbal gifts and ability to sell fights. 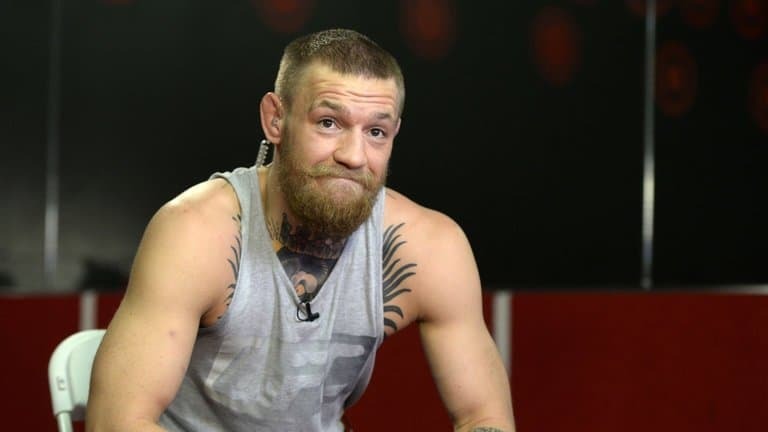 While his braggadocious attitude and cocky nature have usually been greeted light-heartedly, McGregor was accused of racism and sexism due to comments made prior to his bout with Mayweather. His behavior following teammate Charlie Ward’s victory at Bellator 187 was arguably the most surprising of his career to date. “This was a guy – a spectator out of the crowd – it doesn’t matter who he is. Let’s take away for a second that it’s Conor McGregor involved. This guy is a spectator from the crowd who has leaped into the cage, who has attacked a referee and attacked a fighter, who could say, as well.